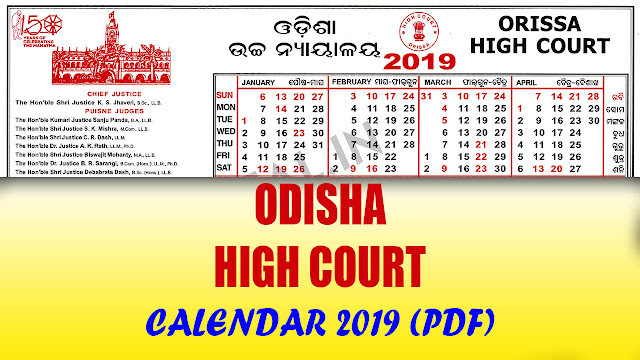 Here is the official Calendar of Odisha (Orissa) High Court. From this calendar you can get official high court holidays list, Judges name. The calendar is available in PDF. you can open this e-calendar on your Smart phone, PC, laptop, tab etc. INSTALL OUR APP TO GET 2019 Odisha High Court Calendar!